Hydrogen energy is an important way to prevent global warming and ensure energy security. The reason is that hydrogen, which is compatible with electric power, is a unique energy carrier as it emits no CO2 when used, and its resources are evenly accessible in the world. Therefore, to establish hydrogen production technology without CO2 emission, namely using renewable energy or nuclear energy, will be a great contribution to prevention of global warming. Economically feasible large-scale hydrogen energy systems, however, have not yet been established to date. And, further technological development and sophistication of hydrogen systems are necessary to realize the massive and efficient supply and utilization of hydrogen at an affordable cost. 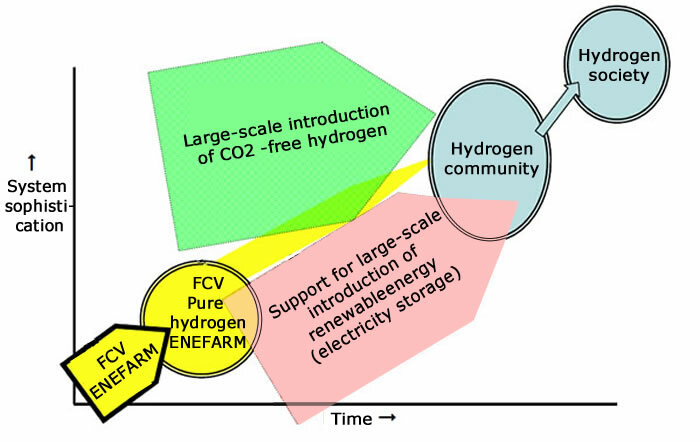 From a long-term perspective, the Hydrogen Energy Group contributes to formulation of Japan’s energy strategy and also contributes to the hydrogen-related industries through assessing viability of hydrogen energy systems, identifying challenges in technological development and showing a technological development path for realization. When the WE-NET Project, a hydrogen energy part of the New Sunshine Program, was launched in 1993, WE-NET Center was simultaneously established in the Institute of Applied Energy (IAE). Since then, the Hydrogen Energy Group has been continuously engaged in a broad range of research and study activities. The recent research and study areas include study on CO2 -free hydrogen energy systems, development of hydrogen technology, assessment of hydrogen demand and strategy for widespread use of hydrogen. The group’s activities also include dissemination and better understanding of hydrogen-related knowledge among the public. As global warming countermeasures and stable supply of energy are pressing issues, the Hydrogen Energy Group undertakes research and study in the following areas. Based on technical strategy, study the future technical trends and conduct technology evaluations. Propose new projects in collaboration with private companies to the government or the New Energy and Industrial Technology Development Organization (NEDO) and launch new activities. Form a study group with businesses, research organizations and universities on specific themes and exchange and share the relevant information which will lead to creation of projects. 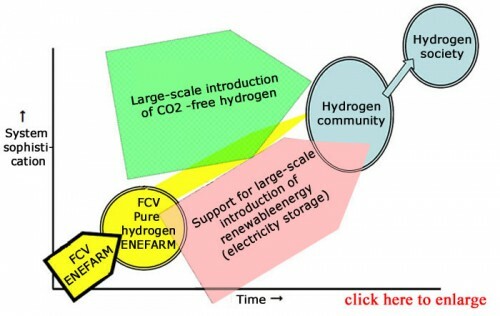 “Economic Potential of Imported Hydrogen Originated from Oversea Renewable Energy,” presented at the 19th annual meeting of the Japan Institute of Energy in August 2010. Copyright © The Institute of Applied Energy All Rights Reserved.